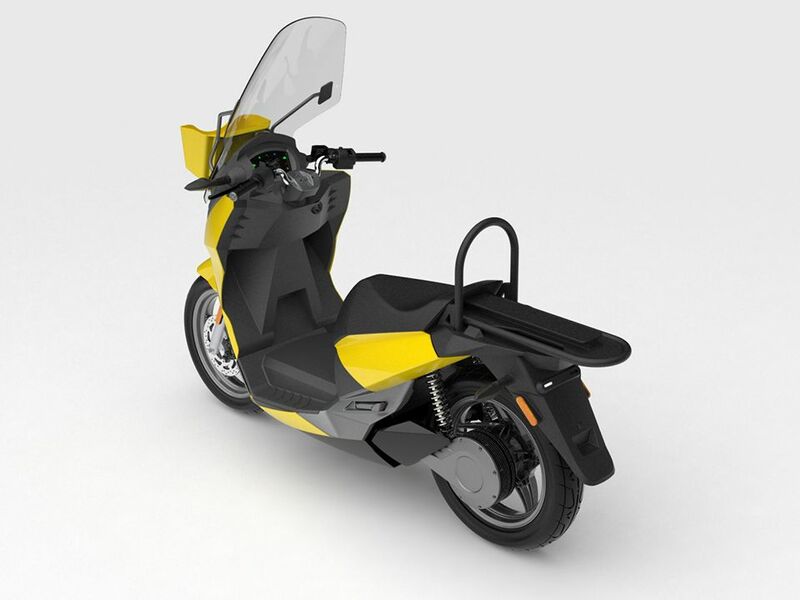 The VT-1 is a electric motorcycle scooter from the company Vectrix, a company originally from the U.S. and one of the first pioneers in electric scooters which was brought back to life in 2016 by a electric scooter factory in Poland. 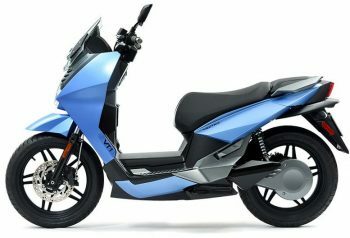 The scooter is categorized as a 125cc scooter, has a top speed of 100 km/h and accelerates from 0 to 64 km/h in 7 seconds. 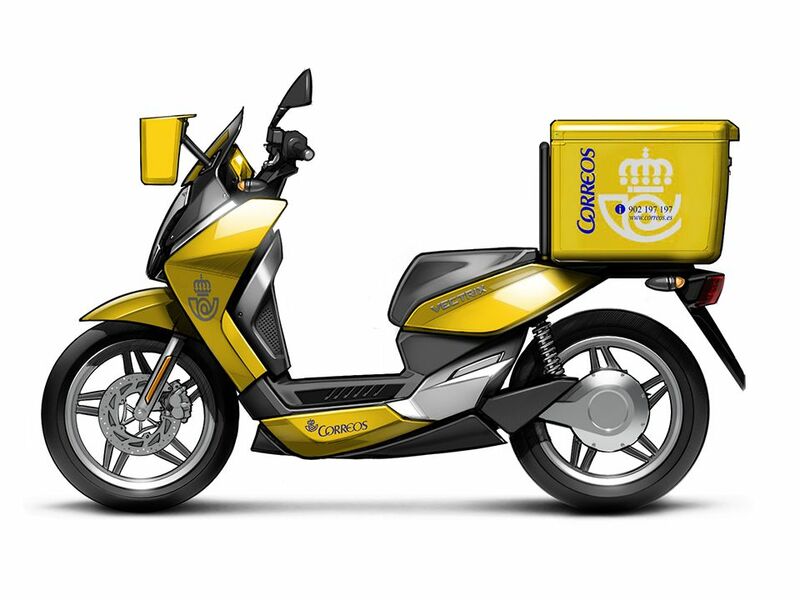 The scooter has large 16″ wheels for easy handling in city traffic and can be equipped to serve as cargo / delivery scooter. 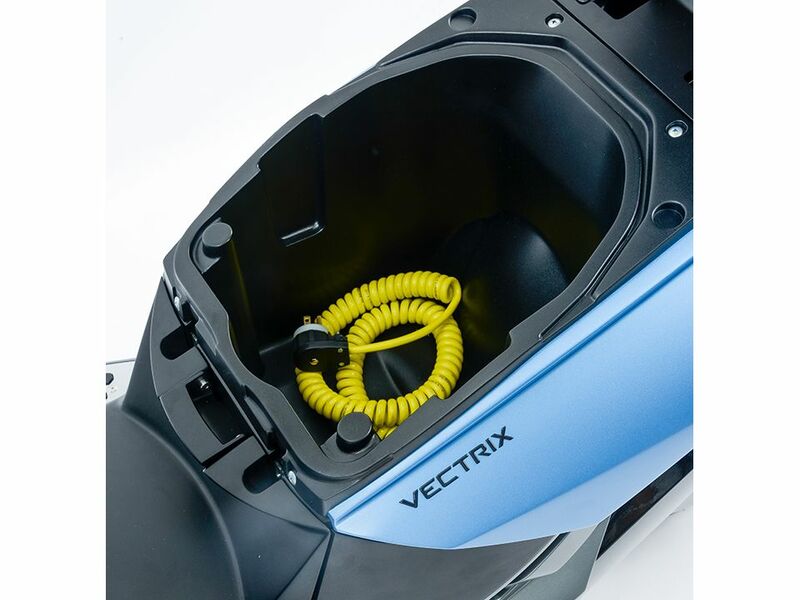 The Vectrix VT-1 is equipped with removable, easy to handle batteries. 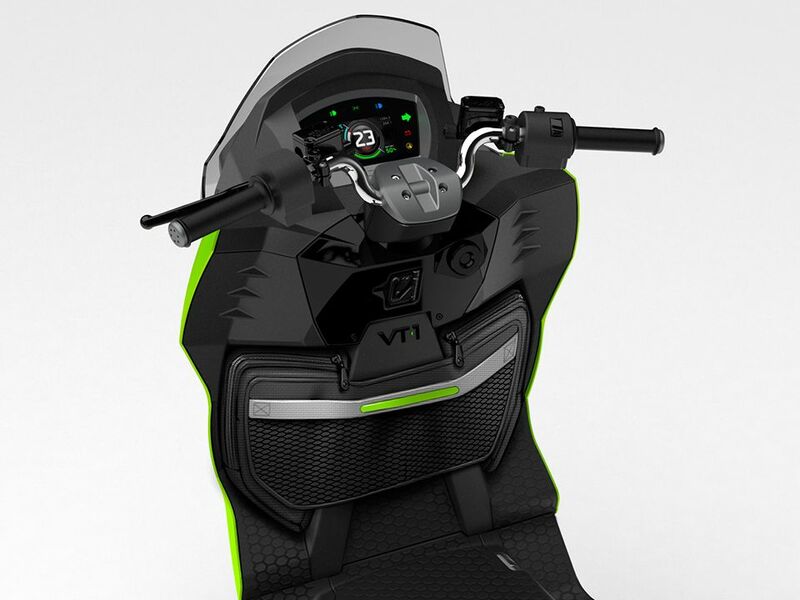 System will allow to use vehicle with 1, 2 or 3 independent battery modules for a range of up to 160 km. The charge time of the batteries is 2 hours using a 20A charger. The scooter has a Kinetic Energy Recovery System (KERS) or regenerative braking in which energy from braking is returned to the battery. 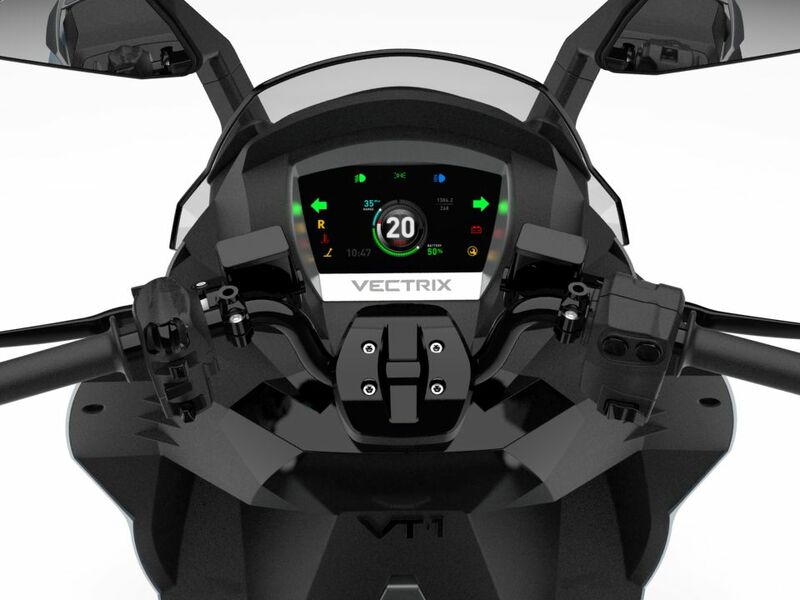 The VT-1 as every Vectrix has a revolutionary Multi-functional Throttle technology, which can increase the range by up to 12%. It is a unique innovation which slows the vehicle down by reversing the polarity of the motor to recharge the batteries. It also provides a slow-speed reverse gear, which enables ease-of-movement in parking and tight spaces. 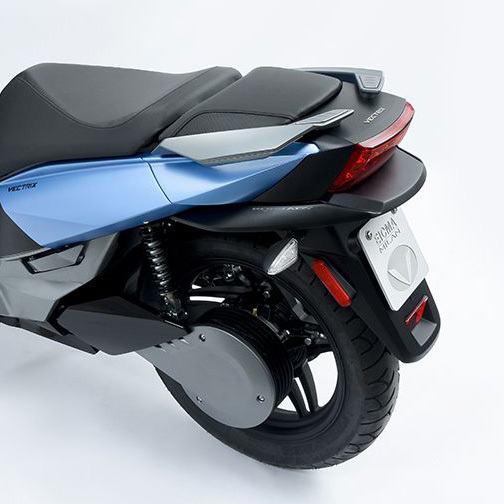 The scooter has ABS assisted front and rear disc brakes. 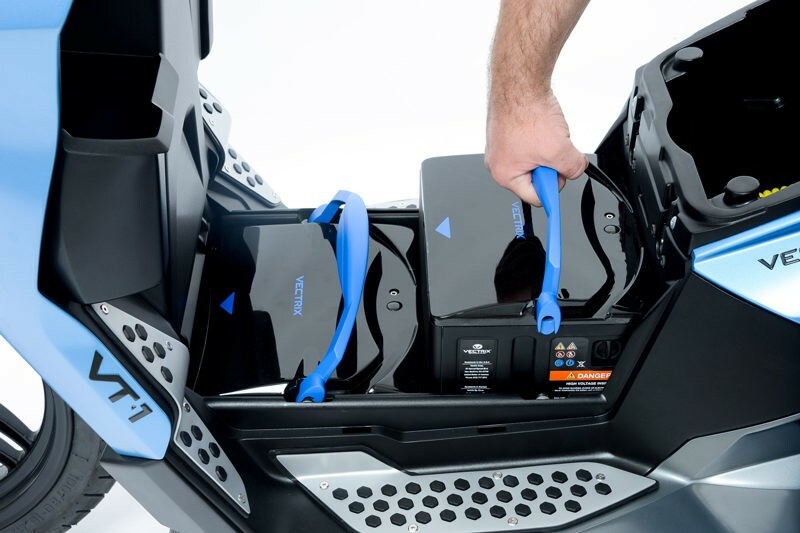 Storage compartments under the driver’s seat and glovebox are lockable and the LCD instrumentation has been designed to be easily read in various light and weather conditions. Vectrix offers a 24-month basic new-vehicle warranty that will apply to all components beyond those that wear down during normal use. 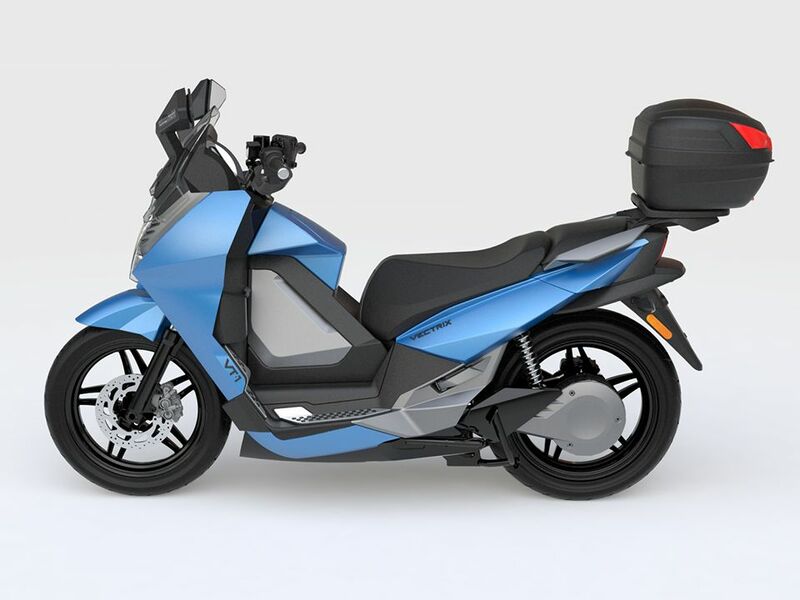 Accessories will be available as well, including a winter wind shield, lower seat, hard case mount, hard-shell top case and scooter cover.